Active Aging Week is an annual event that approaches the concept of healthy aging. This year’s theme was “Explore the Possibilities.” The active aging community and brand have set out to engage all ages in providing healthy opportunities for our senior community. The week includes numerous activities, from active aging expos, senior group fitness classes, free checkups, to hearing aid calibrations, as well as healthy food demos for our seniors. All ages are welcome to participate in the celebration of life and healthy living for our seniors. When dealing with the idea of aging, we often limit ourselves to things that are deemed “safe.” We should always keep safety as the main focus, but being adventurous has no age limit. 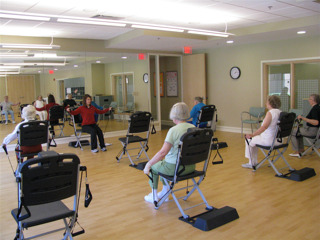 Many different activities and events have levels built in for all ages, including older adults. Hiking, biking, walks/runs, creative arts for a cause, and many more activities are okay for seniors to do at a moderate and acceptable level (consult a physician before engaging in activity). Emily Kimball, also known as the The Aging Adventurer, does not let anything limit or get in the way of adventure. She is an outdoor enthusiast who has taken all her adventures and used them as lessons to help in everyday life. Whether it’s biking across the United States, or hiking from coast to coast in England, or hiking the entire Appalachian Trail, she believes that “aging is beautiful, so accept it and enjoy it.” Her inspiration has influenced many seniors; she is a living testament to not limiting oneself, but instead believing and loving ourselves. Make healthy lifestyle choices. When making healthy lifestyle choices, exercising, eating well, and avoiding smoking are all good ways to live a longer and healthy life. 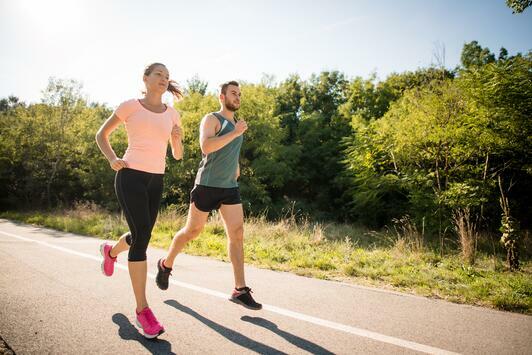 Doing physical activity you enjoy for 20 to 30 minutes, 5 to 6 days a week, can increase energy and make the immune system stronger. 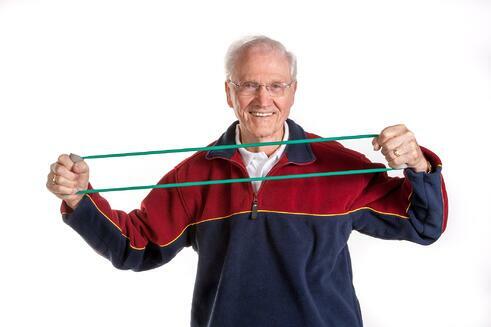 (Ask a physician before engaging in exercise.) Eating a well-balanced diet is important for everyday activity to ensure energy and focus throughout the day. Make sure you have the proper amount of fruits, whole grains, protein, and vegetables. Avoid smoking at all costs. Because of the damaging and sometimes irreversible effects of smoking, it can be very detrimental to one’s health. Participate in preventive care. Staying up-to-date on immunizations and cancer screenings is very important. Make sure you are regularly taking flu shots, annual exams, and immunizations. Finding health issues early is a benefit of preventive care. Programs for health monitoring and education your health care are great ways to practice preventive measures to ensure healthy aging. Plan in advance. Determining how you want to age is essential. Knowing what you want to do in life and preparing for your adventures is an important process, but it can be hard to put in order. Having all business aspects organized will make your adventures a lot more enjoyable. We all want to live long lives, but plan to enjoy each age range and live life the best you can. Exploring all possibilities can be the key aspect to having a healthy, happy, and joyful life. For more on the importance on aging well, download our quick read below!